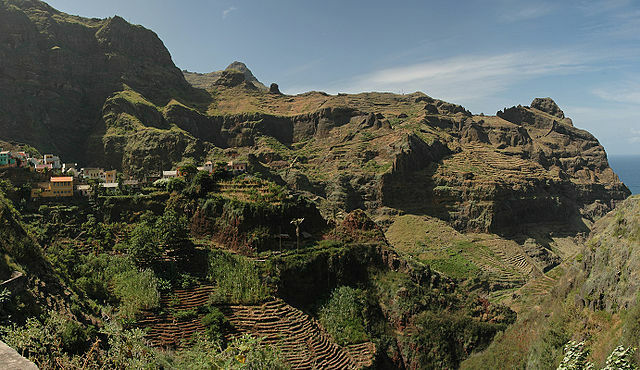 The archipelago of Cabo Verde represents a great diversity of landscapes. Here you can find rugged mountain peaks, flat deserts of sand dunes, fertile green mountain valleys, volcanoes, lakes of salt, and endless white sand beaches. The islands lie in a horseshoe formation, with the more Portuguese influenced islands of the Barlavento, or windward group in the north and the more African influenced islands of the Sotavento, or leeward group in the South. Let’s start from the top of the horseshoe and explore the islands individually, going clockwise. Regarded as having the most impressive mountain landscapes, some say it is the most beautiful of the islands. Cabo Verde is the only place in the tropics which has tropical palms at the coast line but forests of fir and pine trees in the high mountain valleys. 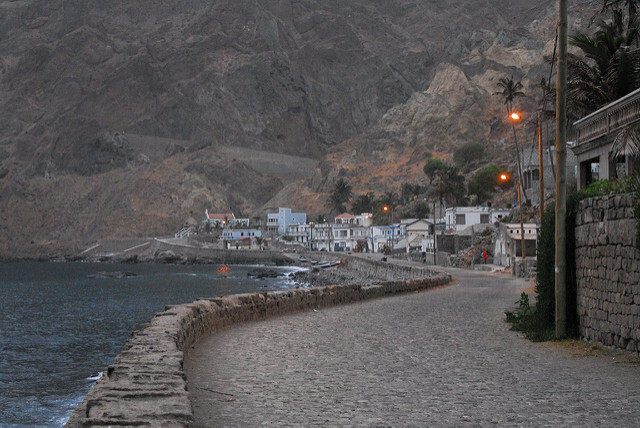 This contrast is at it’s height on the island of Santo Antão. 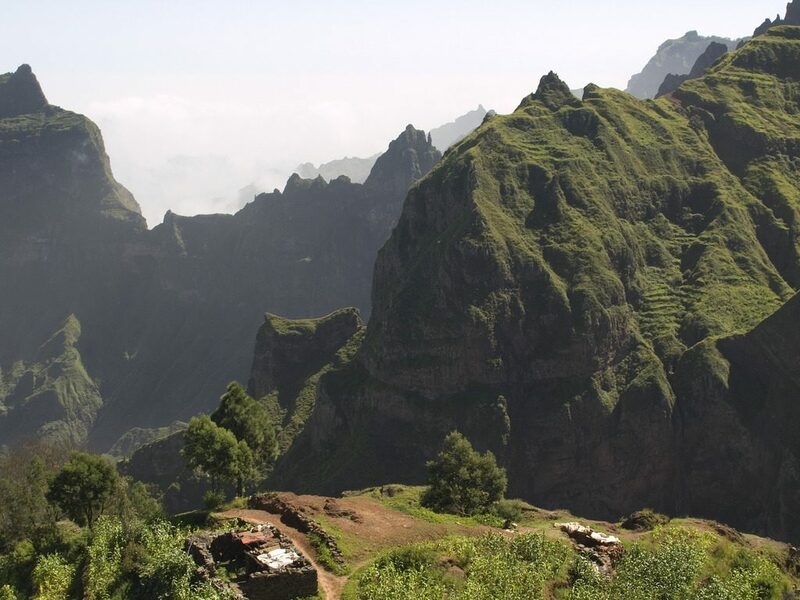 For many people, especially those into hiking, this island is the main reason to visit Cabo Verde. Hiking the Canyons, gorges and valleys or driving from South to North (on a somewhat scary road), one will encounter awe inspiring vistas as the drier terrain of the south changes to forests of pine trees contrasting with lush tropical valleys in the northeast part of the island. Don’t miss the Village of Fontainhas perched high on the edge of a cliff or the biggest and oldest lighthouse of the islands at Farol de Boi. 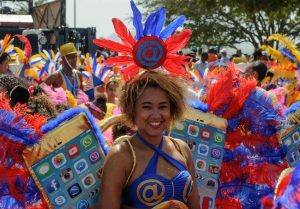 Carnival of the islands is held every February, as well as the Baia das Gatas Festival which takes place at the beach during the August full moon. Admire the colonial architecture of this city with the imposing Monte Verde in the background. The city is home to many of the most notable musicians, writers and thinkers of the archipelago. Santa Luzia is an uninhabited island, though many attempts were made to settle here. In the early 1700’s desertification caused farmers to abandon the island. As late as the 1960’s, there were other attempts, but today the island is inhabited by a diverse population of birds and lizards, with visits from fishermen and a few tourists. station, the inhabitants successfully plant and cultivate Carob, banana and papaya trees as well as coffee and oranges in the higher elevations. Another great hiking destination, it is mountainous with many dramatic rock formations. Endless white sand beaches, fancy five star resorts, water sports in the crystal blue waters and 350 days of sunshine in the year characterize Sal. The interior of this largely flat island, however, has often been compared to the surface of the planet Mars. That doesn’t mean there is nothing to do or see there. Desert biking is very popular as is the salt sea at the town of Pedra Lume, which, like the Dead Sea, is so heavily salt laden that one floats on the water. Uninhabited until about 1800, the island became a center of salt production. The capitol city is Espargos (Asparagus) named after, you guessed it, the wild asparagus growing there. 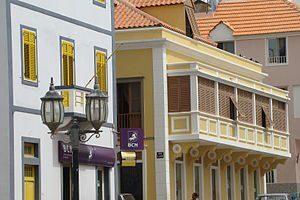 With one of the main airports and numerous hotels, restaurants and shops, Sal is the center of the tourist industry of Cabo Verde. 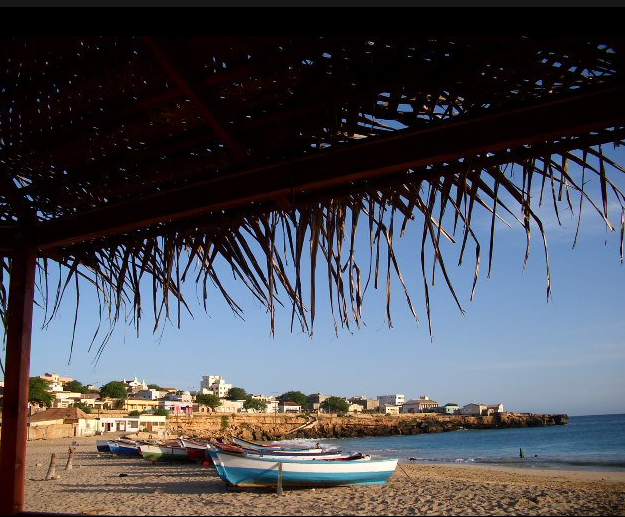 Boa Vista is the eastern most island and is very similar to Sal. 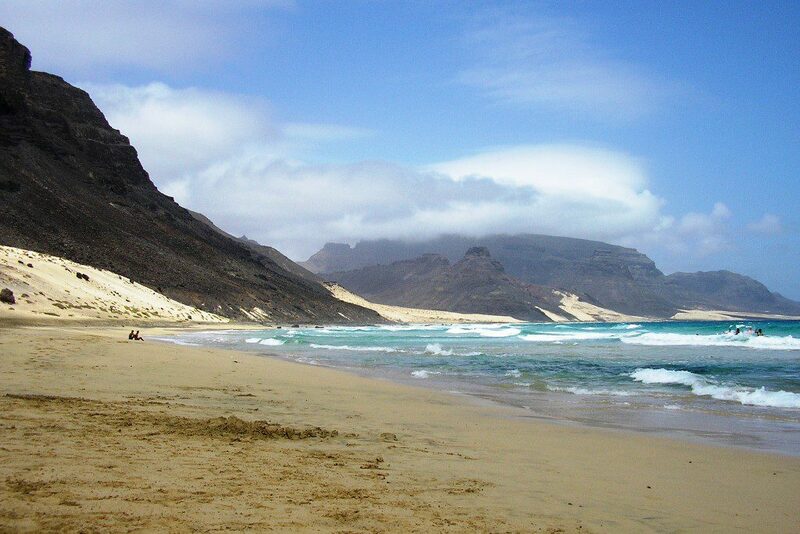 Flat and deserty, it is perhaps a bit more authentic and is acknowledged to have the most beautiful beach in Cabo Verde at the 18 mile long Praia de Santa Monica. 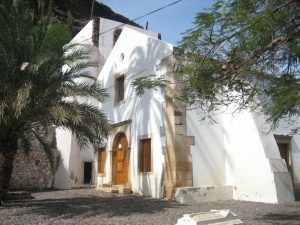 It is also the birthplace of the morna, Cabo Verde’s most famous music. The eastern shores of this island are undeveloped and deserted. 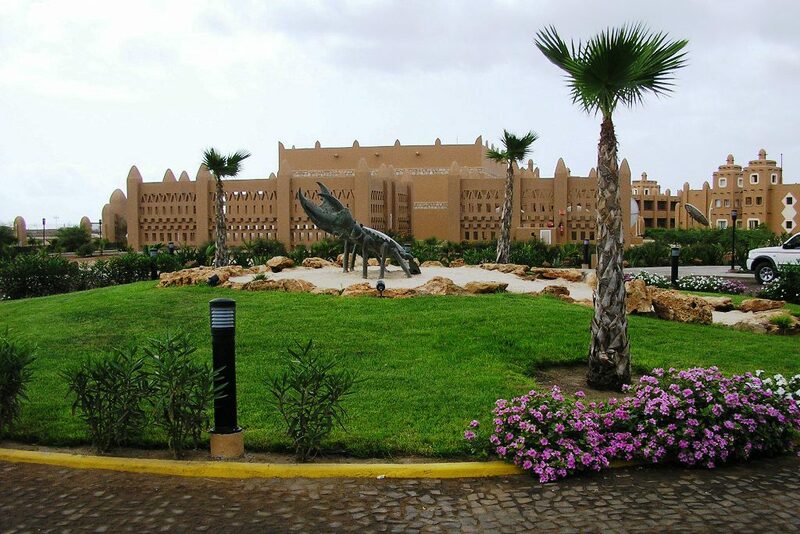 However, with some luxury resorts already drawing in tourists, it is predicted that Boa Vista will soon catch up with Sal. Discovered on the first day of May in 1460, Maio is another relatively flat desert island but surprisingly also has a rather large forest-an unusual sight in Cabo Verde. Sleepy towns with colorful houses and wandering goats are the norm here. It is a great destination for bird watching and, as in Sal and Boa Vista, loggerhead turtles can be observed nesting on the beaches in summer. The largest island, the largest population and the most diverse landscape are to be found here. 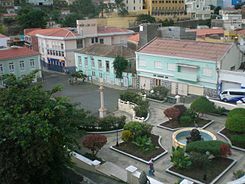 The capitol city of Praia is located here, as is the historic capitol, Cidade da Ribeira Grande, formerly Cidade Velha. This island was the first island to be settled and was the center of the slave trade. 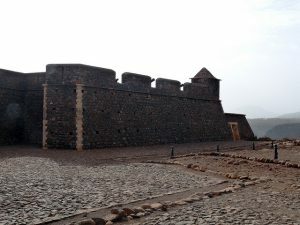 Cidade Velha is a World Cultural Heritage Site and presents to the visitor the remains of a large fort and the oldest colonial church in the world, built in 1495, Nossa Senhora do Rosário. 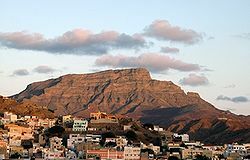 Praia is the busiest and most crowded city in Cabo Verde with approximately 50% of the island nation’s residents living there. It is the educational, municipal and historical center of the archipelago. The entire island of Fogo is a volcano. A very active volcano which last erupted in 2014 causing the 2 villages located in the caldera, or volcanic crater of the volcano to be evacuated. After 77 days of activity, many of the homes in the villages of Portela and Bangeira were left covered with lava. At over 9,000 feet, Pico do Fogo is the highest point in Cabo Verde. Fogo has a very interesting history. It was the second island to be settled. In 1688, however, an eruption caused many to leave for the neighboring island of Brava. Around 1785, whaling ships from New England recruited many of the inhabitants as crews, effectively starting the large Cabo Verdean populations abroad. In 1870, a certain Count of Montrond, a Frenchman, stopped on the island on his way to Brazil and decided to stay. He brought grapevines with him which were planted in the caldera, leading to wine production that continues to the present day. 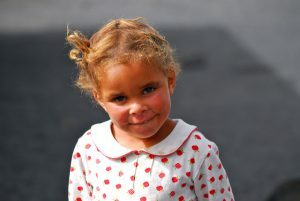 There are many blonde and blue eyed inhabitants of the caldera, who trace there heritage to Count Montrond. 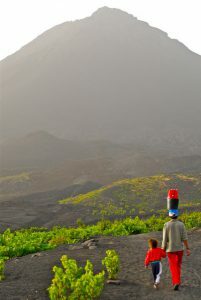 In addition to the wine produced, coffee is also grown on the slopes of Pico do Fogo. A visit to Fogo should include a hike up to the volcano-which will take several hours and include wine tasting, and maybe an overnight stay in one of the inns inside the caldera. Brava is often described as a botanist’s paradise. 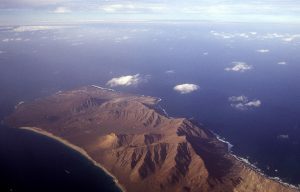 It is the smallest inhabited island in Cabo Verde and perhaps the greenest (Some say São Vicente). Populated by settlers fleeing the 1680 volcano eruption on Fogo, this island also lost many men to the whaling ships of New England. It’s most famous resident was Eugenio Tavares (1867-1930) who wrote many famous mornas in the Crioulo language. He is honored by a statue in the town square of Nova Sintra. Hey there!, wow such a beautiful location. The diverse areas and terrain sure do make these islands unique. 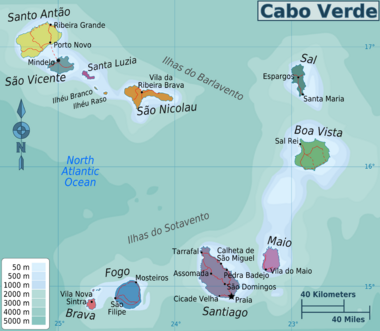 I can honestly say I feel educated now on Cabo Verde. I may very well visit the islands one day as i feel it is noteworthy to add to my bucket list right up there with the Maldives. The Fogo volcano gives off and ominous look but that wouldn’t deture me from venturing to this local since i have been fascinated by volcano’s from an early age. Thanks Patrick! 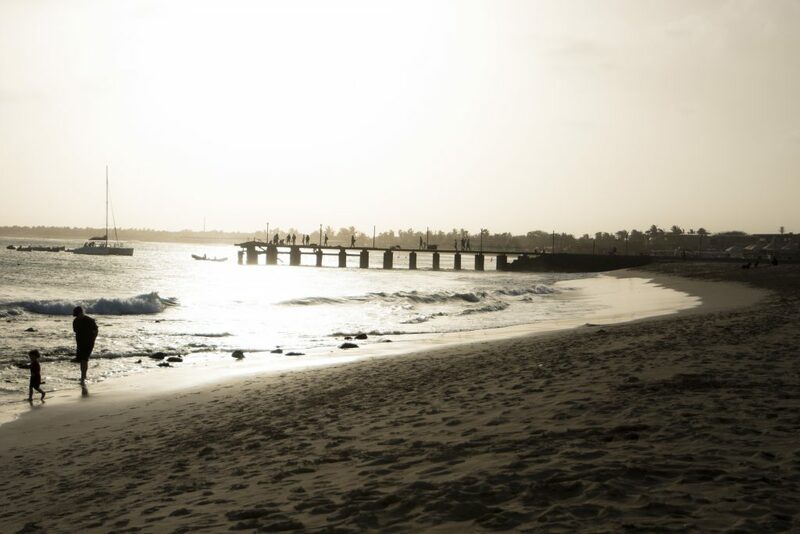 There’s definitely a lot to experience in Cabo Verde. Hope you get to go some day. It’s definitely off the beaten path, but becoming more and more popular as a tourist destination. The Fogo volcano would be a must see. Absolutely breathtaking and inspiring. Offering the history and the music give a great insight to the culture and heritage. Bravo on your taste in pictures for giving picture credits. Delicious. You have given me reason to plan a trip very soon! Thanks for your insights, and all the best in bringing more of these reviews to light. Hi Steve! Glad you enjoyed the post. Hope you get to enjoy traveling often and glad I could give you some inspiration!